Each day, USDA employees wake up ready to serve the industry we love – agriculture. As we help farmers, ranchers and foresters move agriculture forward, we remember and recognize the achievements of those who brought us to where we are today. You might think of George Washington Carver or Eli Whitney, but it was also the unknown others – the “Wonder Women” of agriculture – that had a tremendous impact on the world around us. March is Women’s History Month – a celebration dating back to the first National Women’s Day on February 29, 1909, in New York. To celebrate, here are a few remarkable women that shaped our lives and love of agriculture. Widowed with kids and without any formal education, Harriet pioneered new methods in water conservation and dry land irrigation to supply her walnut, olive and pomegranate plantings. She created several inventions and patents, raised fast-growing pampas grass and sold plumes in her efforts to save her family and ranch from debt. She later became the leading commercial grower of walnuts in the U.S. Her life’s work and advocacy for water conservation, irrigation, women’s rights and education gained her fame as an inventor, agricultural pioneer, civic leader, philanthropist and advocate for women. The “Ice Woman” of the “Cold Chain” revolutionized the food supply and distribution system by developing safe and sanitary methods for processing, storing and shipping dairy products, poultry, eggs and fish. In addition to instilling food safety and preservation practices, the chemist and engineer helped design and evaluate transportation and storage mediums aimed at maintaining low temperatures to reduce bacteria counts in refrigerated and frozen foods. Mary served President Hoover’s Food Administration, USDA, and FDA, as well as the private sector. Evangelina was a cereal chemist and researcher. She collaborated with plant breeder Dr. Surinder Vasal to develop a variety of maize with increased levels of lysine and tryptophan. Maize is a food staple in developing countries, and with the creation of Quality Protein Maize (QPM) the nutritional and health needs of many people worldwide have been improved. Livestock production also benefited with production gains and more rapid market entrance. Temple’s life experiences with autism have influenced her work in animal behaviors in relation to handling and facility design at farms, ranches and slaughter plants. She is a well-known advocate for autism and the protections and rights of animals. Being author and co-author to numerous scientific studies, articles and books, she has shed light on animal welfare issues. Her work helped develop the Double Rail Restrainer Conveyor for Livestock Handling, a scoring system to assess animal welfare, and curved corrals used to reduce animal stress, among other designs and best practices. 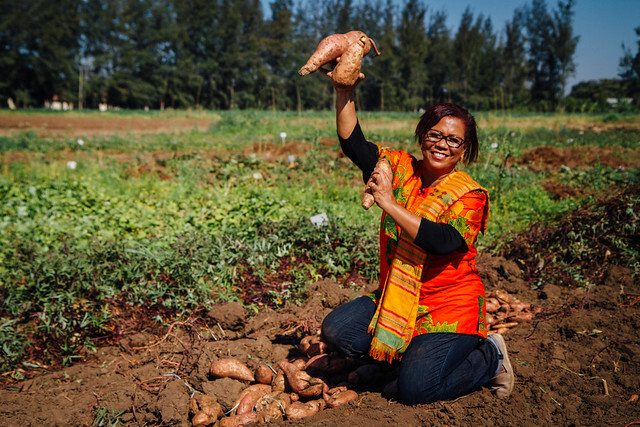 Maria’s research led to the introduction of nine drought-tolerant varieties of sweet potatoes to farmers in Mozambique. Along with her colleagues, Dr. Robert Mwanga and Dr. Jan Low, they developed bio-fortified, orange-fleshed sweet potatoes. These Vitamin A enriched sweet potatoes were bred to thrive in the varying conditions of Sub-Saharan Africa and to counteract Vitamin A deficiencies. By educating farmers and consumers, Maria and her colleagues bridged the gaps between agriculture, nutrition, and health, ultimately changing the working dynamic of the international community. There are many fearless women deserving tribute with many more to come as women continue to advance agriculture. In the U.S. alone, 31 percent of farmers are women, farming over 300 million acres with an economic impact of $12.9 billion. Join us in honoring all the amazing women, past and present, who have shaped our lives and love of agriculture. What woman inspires you? 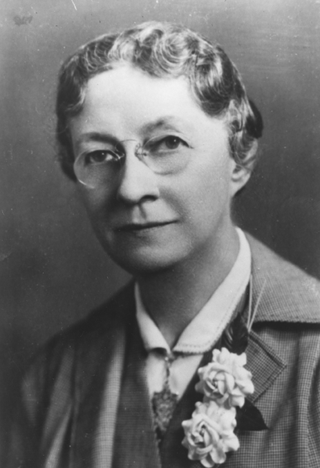 Dr. Mary Engle Pennington revolutionized the food supply and distribution system by developing safe and sanitary methods for processing, storing and shipping dairy products, poultry, eggs and fish. What a great reminder that women have made tremendous contributions to all aspects of life as we know it. And glad to see this article highlighting the women of Agriculture that so many are unaware of! Congratulations Maria for your great achievement. Today we have the scientific and technological development because there were and there are still people who work for the benefit of their communities. Maria Andrade is a living example of the African people's struggle for survival. God Bless you. Hello Dr. Maria Andrade. I am extremely proud of your groundbreaking and globally important work, and I have always admired your scientific abilities and magnificent accomplishments! Congratulations Maria Isabel Andrade my Mentor during my AWARD Fellowship to present. Thank you for being such a driving motor for all women in agriculture from scientists to farmers and their families through you work. Thanks you for all I've been learning from you. Kep it up.